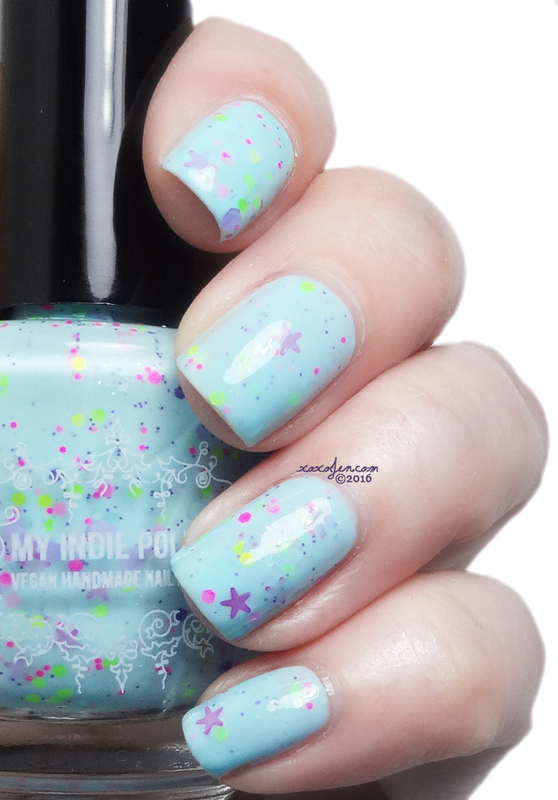 It has been almost two years since I've reviewed for and used the My Indie Polish brand. I have to say, this brand has come a long way and I'm impressed. Tanya and her son create the polishes together. They've created a super bright and fun Summer Festival trio! Field Party is soft sky blue full of party confetti! The shaped colorful glitters are bright and fun, cling to the brush easily with no fishing. I wore two smooth coats, no streaking or pulling. I topped with Gelous then topcoat for extra shine! 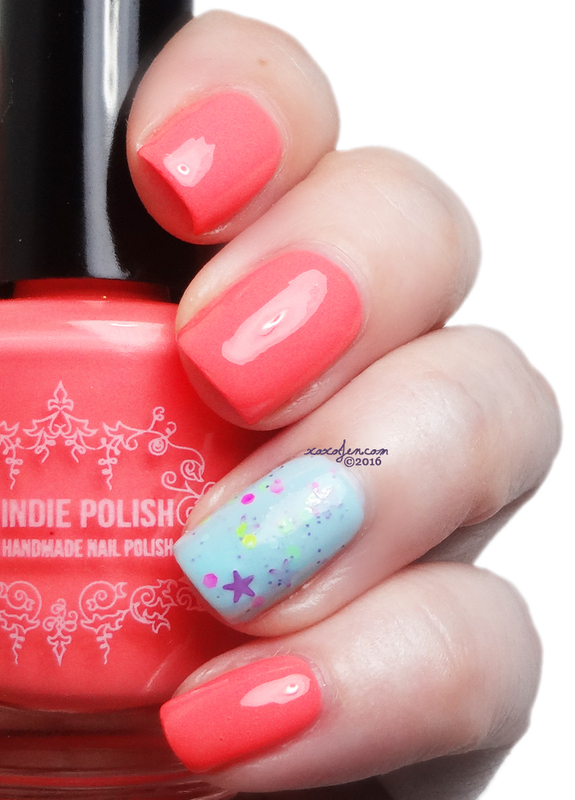 Neon Coral is a super bright shade! I've left the last image dark to really show off the color since my camera refuses to shoot it accurately. It's definitely neon! I kept an accent of Field Party, I love it so! I wore two coats of Neon Coral, the application is smooth if care is taken not to swipe more than a few times in the same spot. Letting this dry for a few minutes between coats is also suggested. 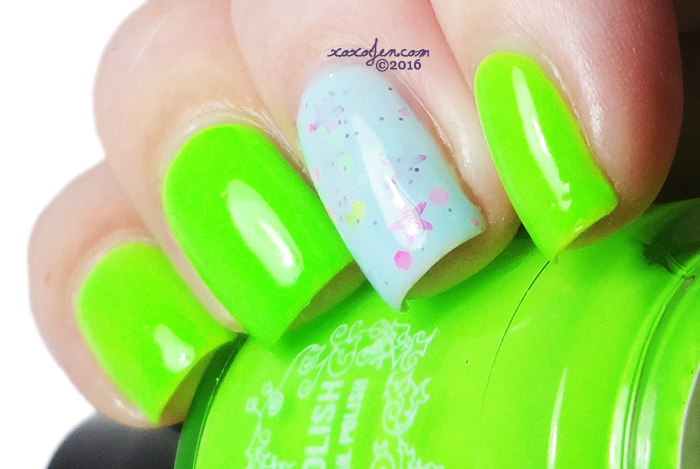 Neon Lime is my kinda color! 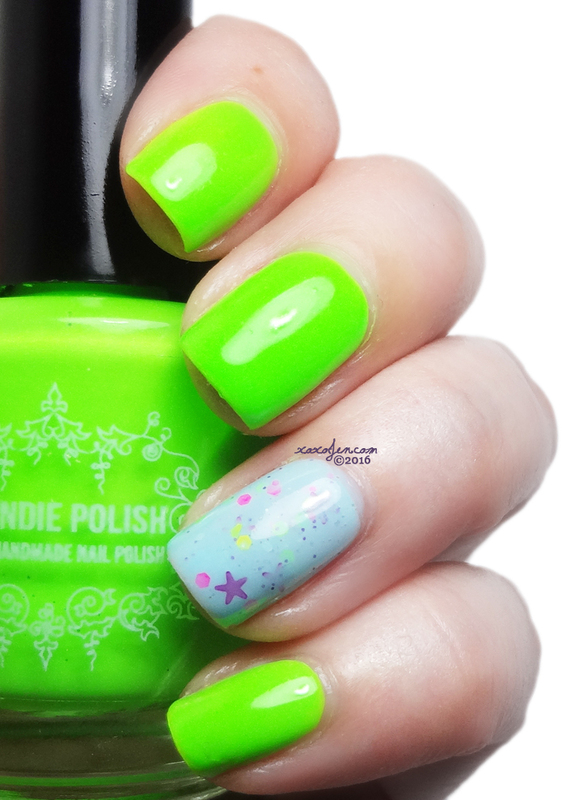 Super bright and fun, very eye catching! The formula was thinner than the neon coral and easy to apply - same technique as the coral will help prevent any lumps as neons are prone to if the brush is swiped multiple times in the same spot. I wore three coats with topcoat. Tanya also sent a sample of her cuticle cream to me. I used it all over both hands and it felt really moisturizing. It's very lightly scented and clean smelling. 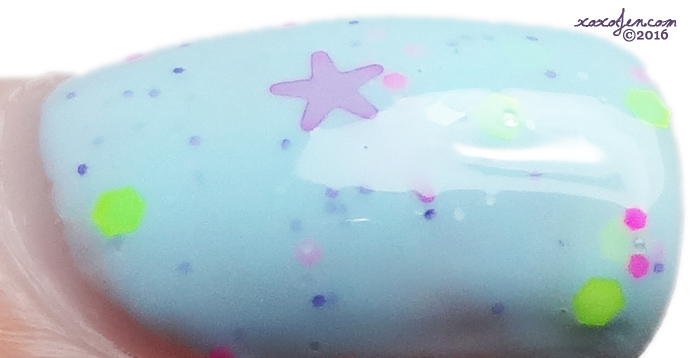 The Summer Festival collection launches on Saturday April 16, at both of the My Indie Polish shop sites. You should snag one! I can't say I've seen anything similar in the crelly realm. I really love how playful and fun it is!